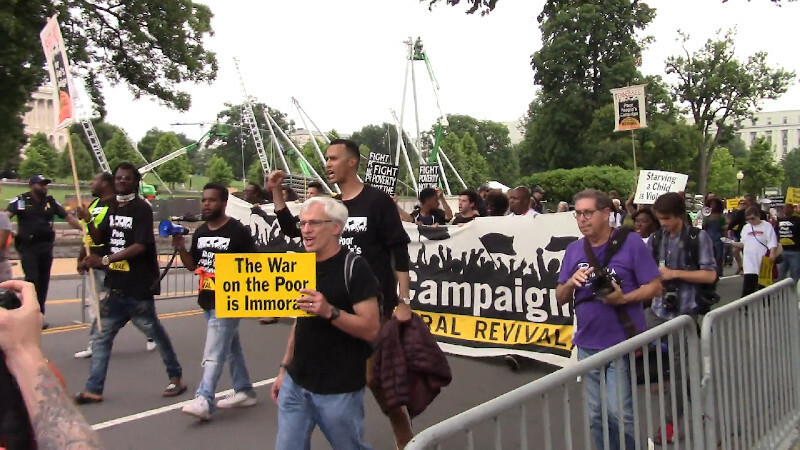 On the 23ed of June, the Poor People's Campaign held a rally and march on the US Capitol at the endpoint of their initial 40 days of action. 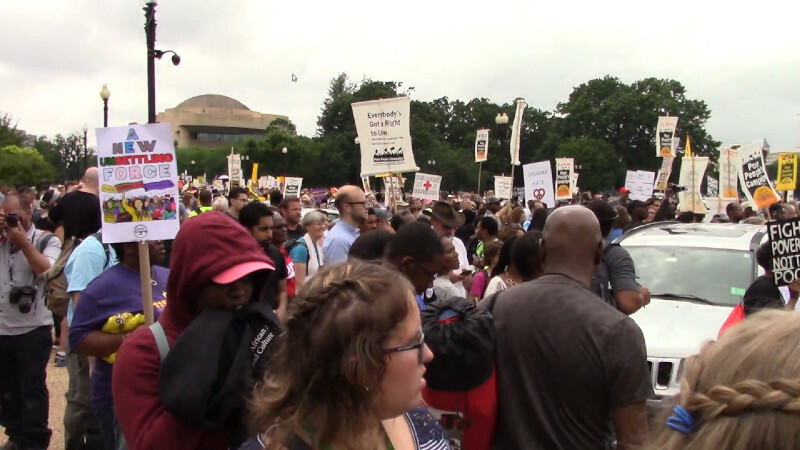 The US Capitol Police blocked the march from approaching the Capitol West Lawn, using police lines and protest pen fence to divert marchers. This was not expected by many marchers and could have created a dangerous crowd crush scenario. When marchers reached the police line, even the sidewalk to the south was blocked by cops. There was word cops wanted marchers to back up-back into the still incoming and quite large mass of the rest of the march. 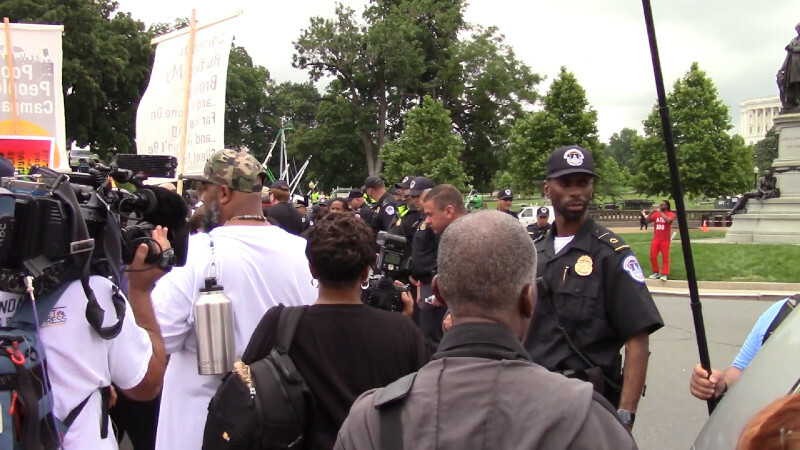 Instead, the lead elements managed to flank the police line and go north, but were still blocked by pen fences and more cops from getting any closer to the US Capitol. Marchers at that point returned to the streets, eventually marching back to the 7th st/ Mall stage area. The US Capitol Police acted like they expected another blockade, but very little business is conducted on Saturdays at the US Capitol. Business is probably the operative word, as votes are sold for corporate campaign cash. 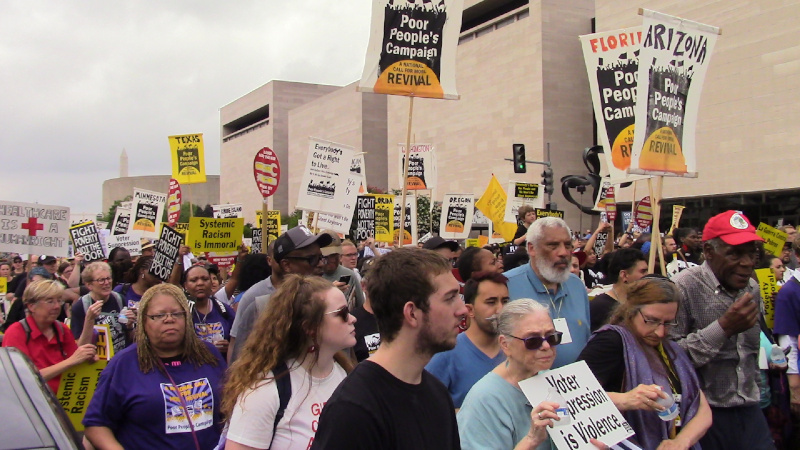 Some of the marchers complained of a near-complete media blackout of the 40 day long Poor People's Campaign's initial mobilization. In the DC area, the author of this report saw only two reports on paid media. The first was a FOX News report on the cockroaches in Central Cell Block after Rev Hagler and others were arrested and held overnight for praying at the Supreme Court. The preachers held a press conference and focussed on the roaches because so many people get held in Central Cell Block. 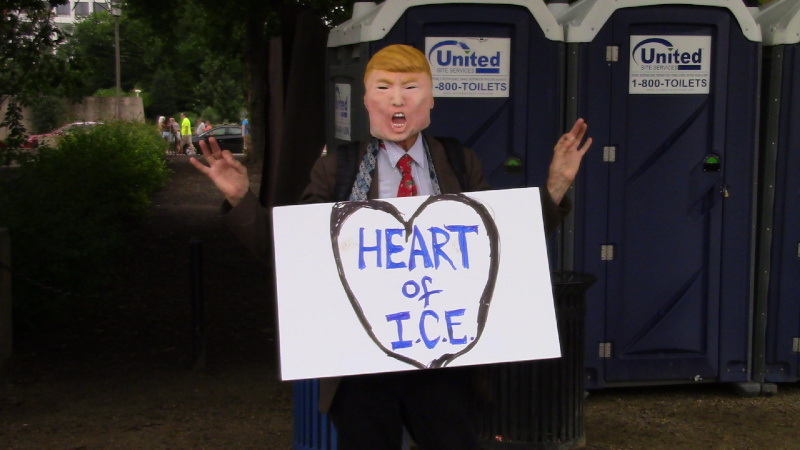 The other report was on June 23 itself in the Washington Post on the June 23 rally and march-too late to influence anyone going to an event that would probably start by the time they started reading the paper.